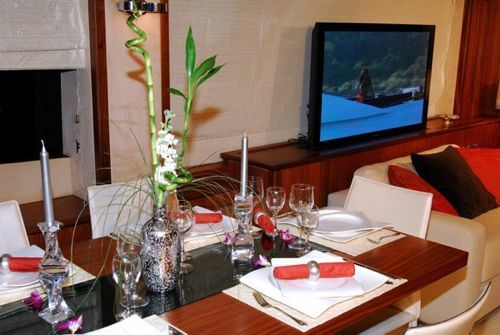 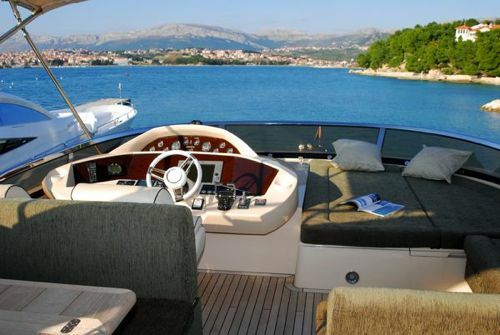 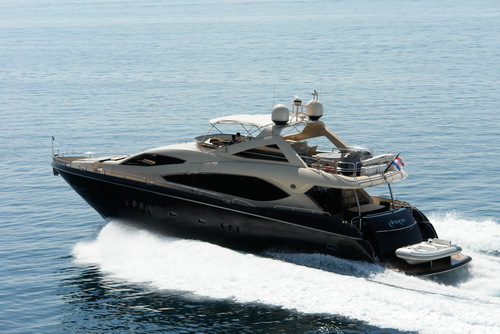 fishing eq.Motor yacht CHOCO is a 26,47m (86′ 10″) charter yacht built by Sunseeker in 2008. 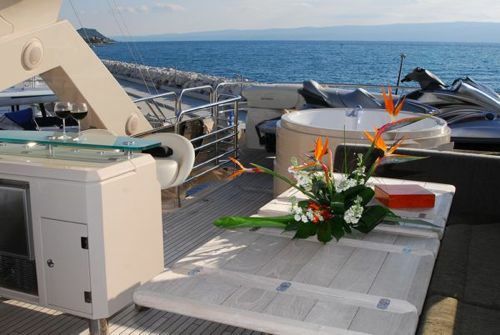 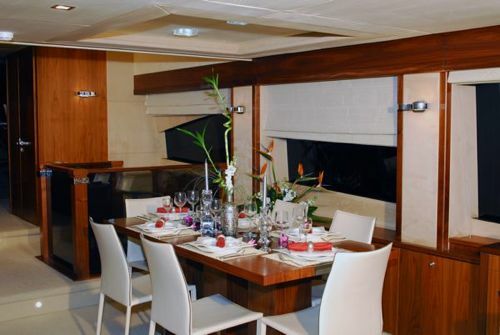 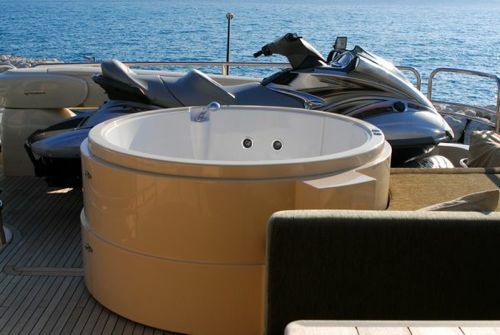 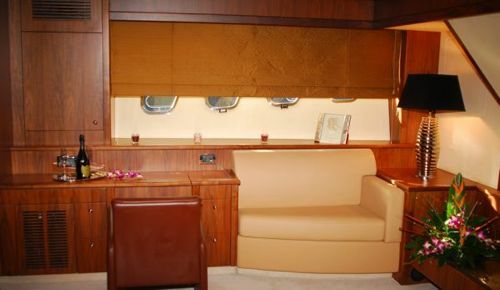 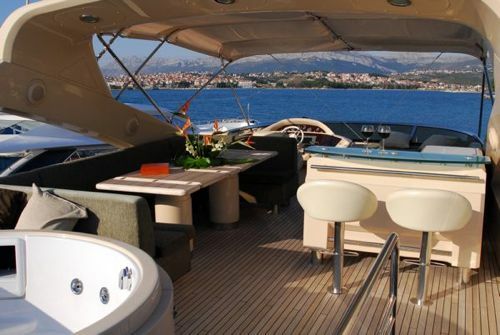 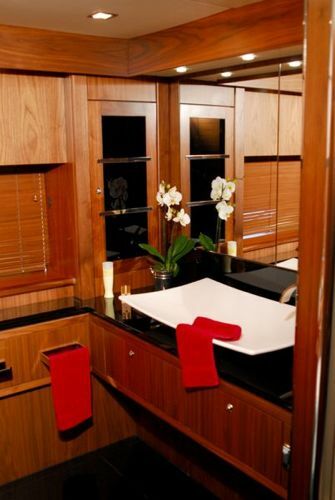 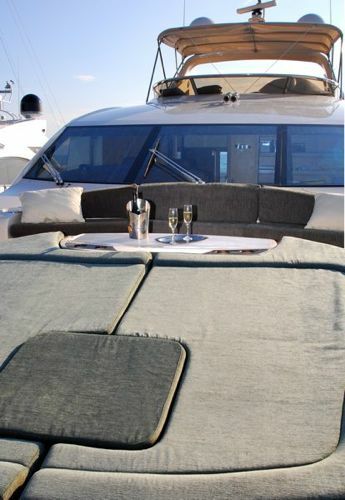 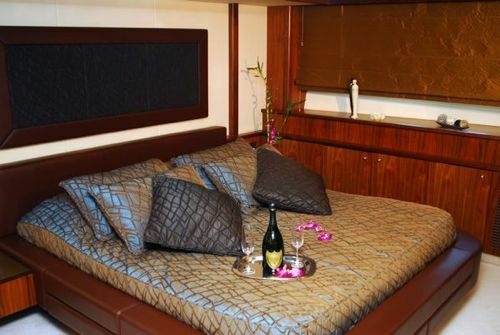 Motor yacht CHOCO boasts generous interior spaces and very versatile exterior with a Jacuzzi, al fresco dining and sunbathing areas. 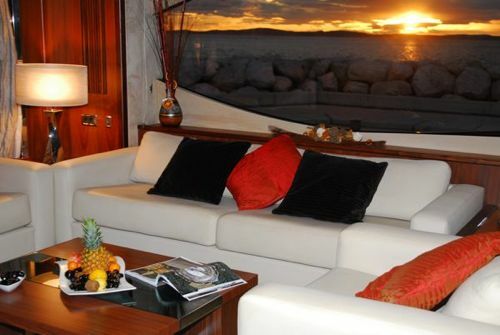 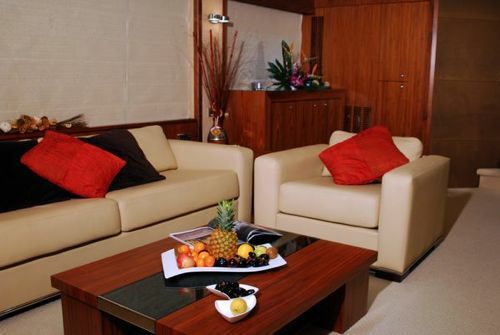 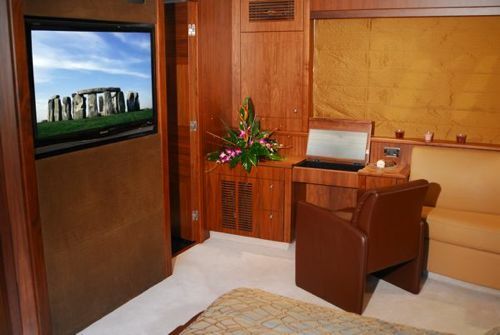 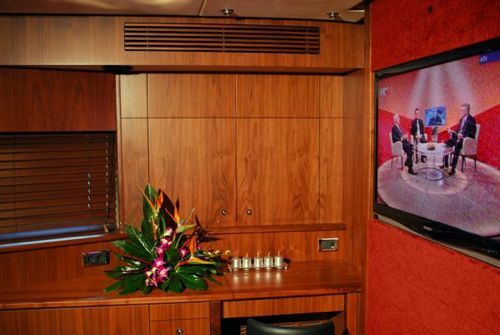 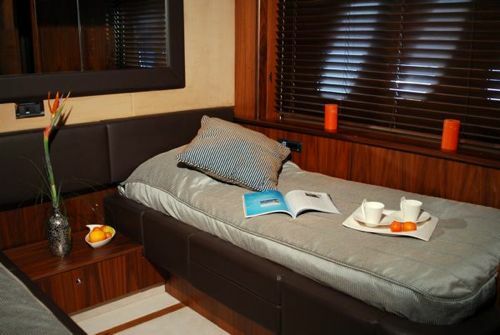 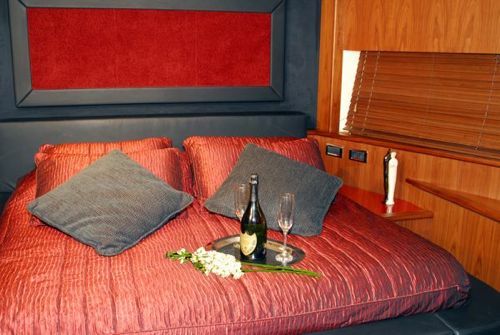 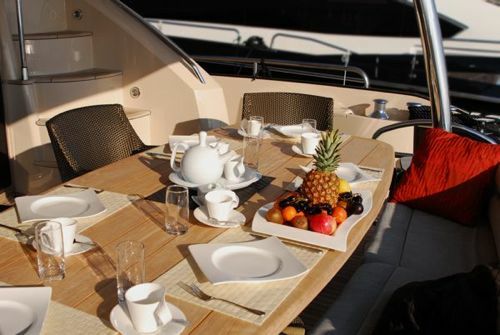 The luxury charter yacht CHOCO offers accommodation for up to eight guests in four generous cabins and has professional crew of four. 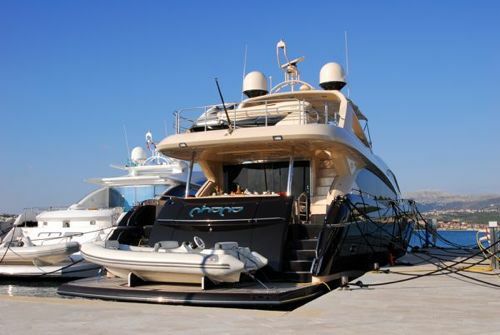 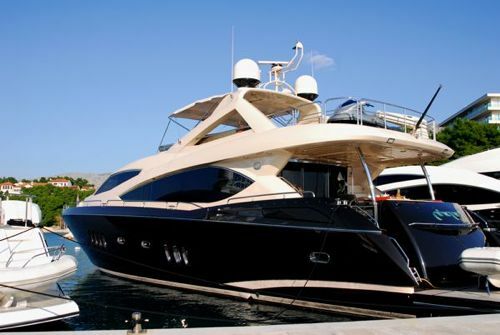 Sunseeker 86 motor yacht CHOCO has the following extras onboard: Tenders & Toys include an AVON SEASPORT 430 DL JET 98 HP, JET SKI YAMAHA FX SHO CRUISER 210 HP, Water ski (mono and double), donut, wake board, surf board, snorkeling equipment, fishing equipment.